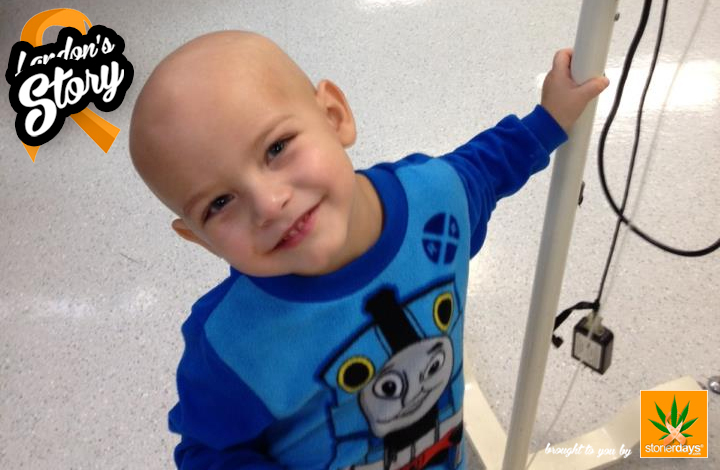 On September 30, 2012 Landon Riddle was diagnosed with T Cell Leukemia. Sierra Riddle received the devastating news that Landon was only given around a 10% chance to live beyond 24 – 48 hours. 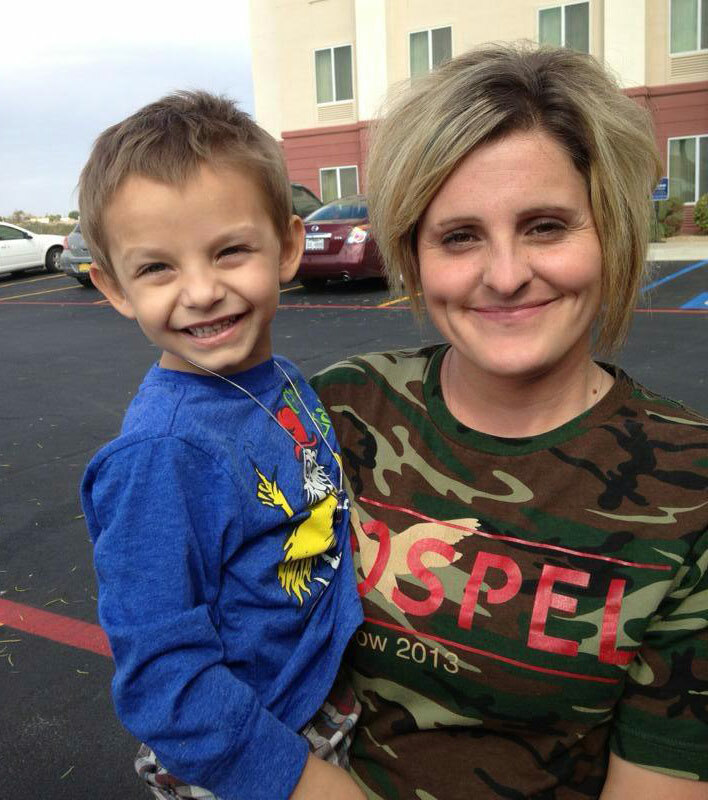 Landon beat the odds and began Chemotherapy treatment. There was immediate placement of a port into his heart for delivery of Chemo and within 30 days both his physical and psychological quality of life had diminished to a state that would break any mother’s heart. Sierra updated their Facebook page Offer Hope For Landon on October 4, 2012. Landon has been very down and in discomfort today, but we are getting to leave tomorrow sometime! YAY! we have chemo and a lot of procedures on Monday morning so we are going to stay in Salt Lake until then so he can rest and be in a quiet environment and not have to travel in the car back to back to back! We are very thankful he was progressed as quickly as he has, but he is not out of danger yet, infection and illness are going to be huge factors in his recovery. I’m very overwhelmed today and feeling really broken, but I am glad I can hold my baby boy in my arms and feel him breathe, there are always things to be grateful for! This was only the beginning of little Landon’s struggle. The doctors told Sierra that once Landon was released from the hospital, it will be best for him to continue about his life as normal as he will have a better chance of healing; however, he will be required to travel back and forth to Salt Lake (12 hours round trip) every 4 days in order to receive his chemo treatments. This put a significant financial strain on his family. Why are you giving me owies? As Landon is held down for the tube that would go down the back of his throat and into his stomach, he fights and screams and eventually pulls the tube back out of his mouth. Landon is given time to calm down and the nurse prepares to start all over again, Landon politely holds up his hand and states, “No, it’s okay, I’m not sick anymore.” The families hearts break and know that they must try again. A very good friend of mine sent me information in the first 30 days of Landon’s diagnosis. I was in total shock. She was diagnosed with pancreatic cancer and was basically coming to the end of her life. She chose to go a different route than chemo, and today she is cancer free! The digging, research, phone calls, hours of exhaustive reading, medical studies done by our own government and many research doctors all showed there was an option that has been around for thousands of years. With Landon’s type of Leukemia and the fact that he is a high risk patient, there was too much risk to go with only natural treatment. They kept that fact very quiet in fear of being judged. They discussed this with all of there family and made the choice to move forward with cannabis treatment. 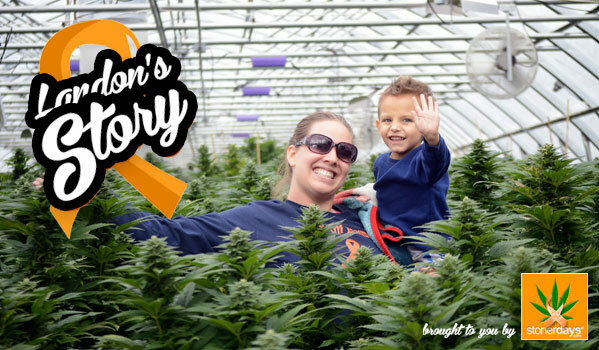 They headed to Colorado for Sierra and Landon to obtain legal residency, for Landon to meet with doctors, and to start Landon on Cannabis CBD oil treatment. Landon had miraculous results. He ingests this oil 2 times per day. CBD is the medicinal part of the cannabis plant and contains less than 0.2 percent THC, which means it has no psychoactive effect. The THC part of the plant when ingested in its raw form (oil), is amazing pain relief, amazing appetite enhancer, and counter-acts the horrible effects of the steroids and chemo which cause anger, anxiety, etc. 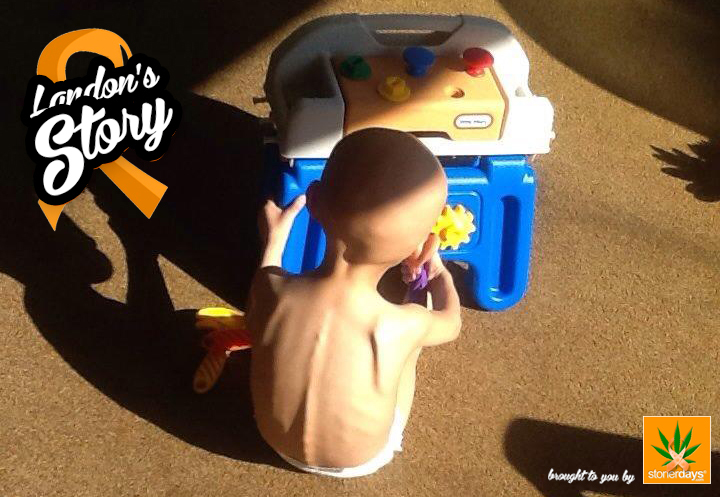 This is why Landon began to gain weight back, why Landon is sleeping, why Landon’s body is being protected against the damage of the chemo, why his immune system is that of a normal healthy child, even with intense chemo treatment. 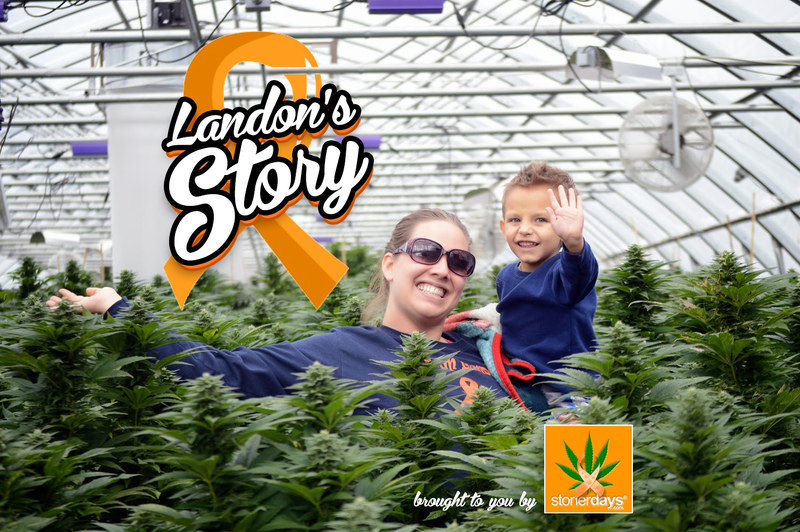 Time passes and Landon’s health seems to be improving and Sierra is convinced that her son is not only being helped by the cannabis but that the cannabis is actually healing him of the cancer completely. 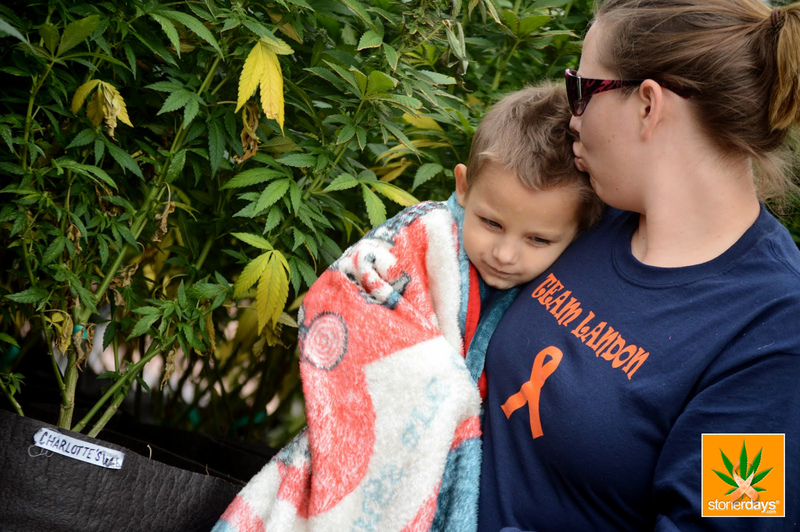 Sierra was right, the cannabis oil not only helped little Landon with his pain, appetite, weight gain, sleep and much more the cannabis oil literally cured him of cancer. 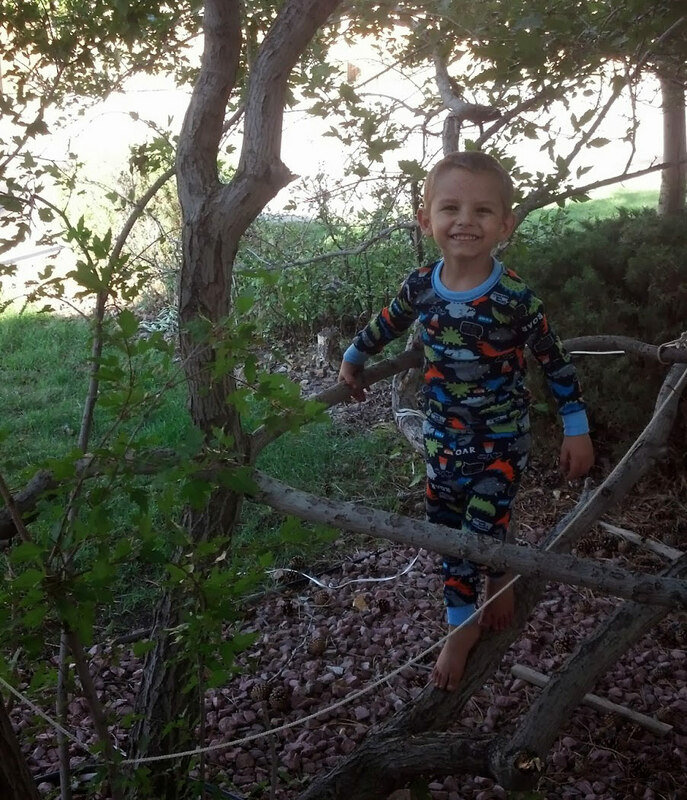 Today 10/21/2014 at Children’s Hospital Colorado Landon had his Port removal two years earlier then Protocol Treatment. Landon is 100% CANCER FREE!! You did it LANDON!! You will always be an inspiration in all of our hearts. Stoners and protesters a like can’t argue that children going through chemotherapy is one of the saddest sights around. It’s children especially that deserve the best cure for their illnesses. Lately, it seems like the best cure around is cannabis. Just ask the Riddle family from Colorado Springs. They, along with many others, know firsthand that cannabis isn’t just for potheads anymore. 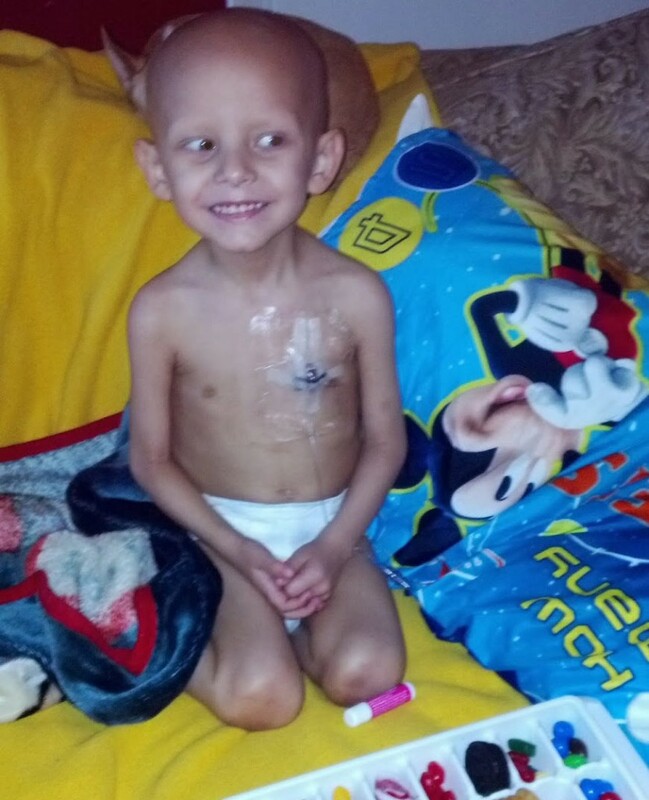 Landon Riddle, the 3-year-old son of Sierra Riddle, has an aggressive form of leukemia. As is the norm, the young child was put on radiation and chemotherapy, which took a devastating toll on his overall well being. 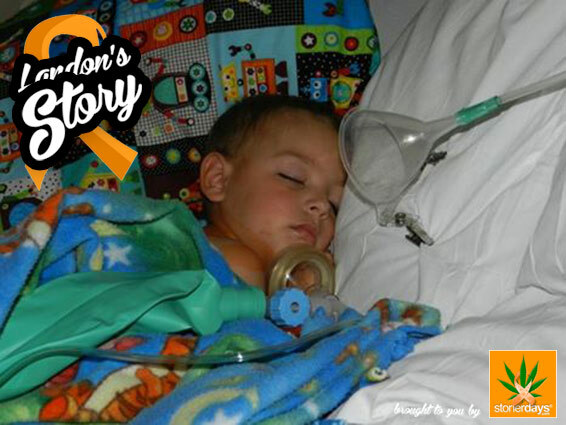 Shortly after starting treatment, Landon’s health began to deteriorate at an alarming rate. He was vomiting multiple times a day and developed severe nerve damage in his legs. The boy was incredibly sick and on a constant diet of Morphine, Ativan, and Promethexane. But when nothing seemed to work and Landon still got worse, Sierra turned to medical marijuana to help her child. She even moved them from Salt Lake City to Colorado Springs so that Landon could get the medicine he needed. Landon started his cannabis oil treatment in January of 2013. Miraculously, the cancer started to recede, causing doctors to scratch their heads. 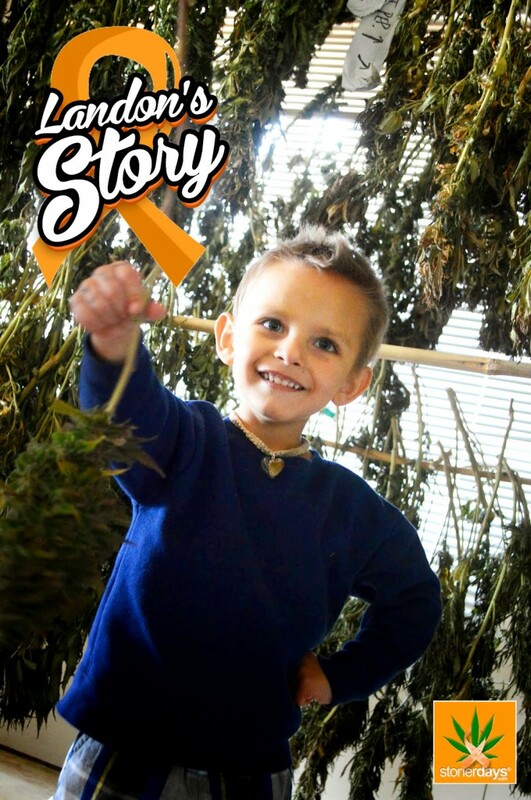 Riddle continued the cannabis treatment and took Landon off of chemotherapy in July. Unfortunately for Sierra, not everyone agreed that the child should be off of chemo. A doctor actually threatened to call Child Protective Services on the family, which ended up with an agent knocking on the Riddle’s doors. Regardless of that ignorant doctor’s disbelief, Landon has improved drastically, going from a lethargic, sick little boy to a running, playing, happy 3-year-old. Unfortunately for the family, the government has stuck it’s big nose where it doesn’t belong and has required that Landon be put back in chemo, even though Landon is already in remission. Sierra stated that forcing her to do this to her child is abuse, which I can’t say I disagree with. Children should definitely not have to go through chemotherapy if there is a natural, side effect free cure available. Since the courts actually threatened to remove Landon from Sierra’s care, the mother has no choice but to put her son back on the awful regimen of chemo. He is still getting cannabis but his mother wants him off permanently. 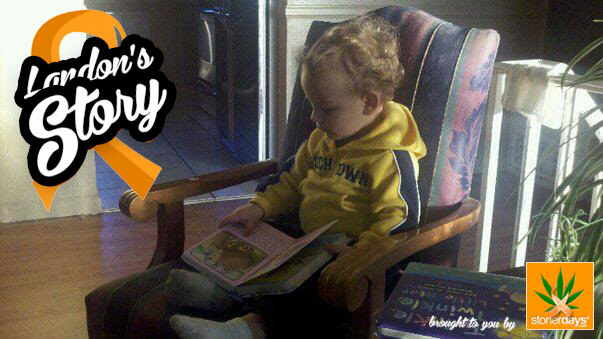 Chemotherapy is severely damaging, especially in this case with the nerve damage to Landon’s legs. This is a huge infringement on parental rights and the rights of the child. 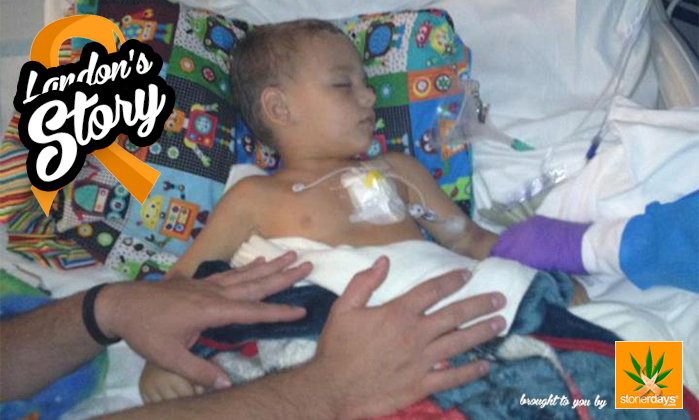 As of right now, Landon and his family are raising money to get Landon the treatment he deserves through a doctor in Arizona. That doctor has said that he will drastically change the course of treatment for the three year old. 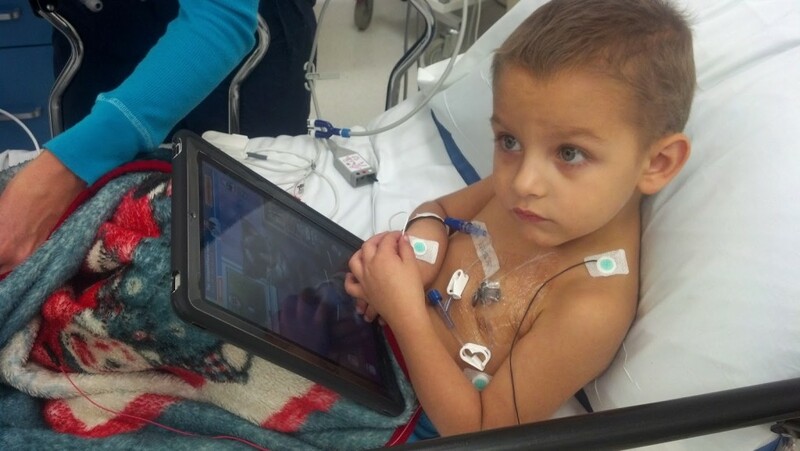 Landon will get less steroids and far less chemo. We can only hope that the child will be allowed to use a natural cure rather than the poisonous “treatment” known as chemotherapy. Other children as well should be able to avoid suffering in chemotherapy and be able to live their childhoods happily. 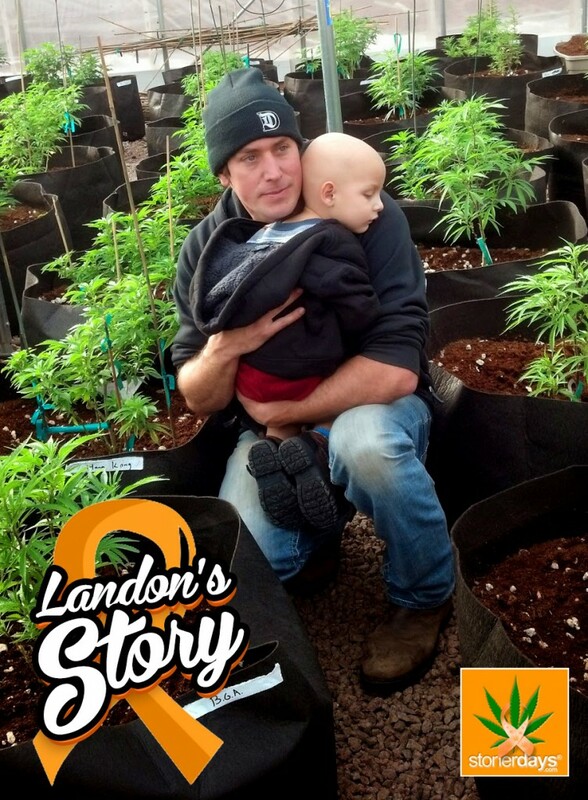 Stonerdays sends positive vibes and well wishes to Landon and his family for being so strong! GO CANNABIS! Wanna help? Landon has an account set up at Wells Fargo Bank under the name Offer Hope For Landon – Anyone can go to any Wells Fargo Bank and make a donation directly into this account! Acct # 7964393669 Please consider helping this family in their time of need! October is Breast Cancer Awareness month. Almost everyone is familiar with the pink ribbon that so many people sport, especially at this time of year. I’m familiar with breast cancer. Too familiar, if you ask me. My aunt has it. It hits close to home for too many. Although, I can’t say that I’m sending my aunt bundles of pink stuff from all over. I’m sending her medical evidence that cannabis can prevent her from having to go through chemo. My aunt found out she had breast cancer less than four months ago. I’m not very good with the whole confronting news thing. I didn’t even say anything up until recently because I didn’t know what to say. “Hey Auntie, want some pink stuff?” That wasn’t enough for me. Chemotherapy is poison to the human body and to know that within two treatments, my aunt had already lost her hair, merited more than just a pink bumper sticker. So I started sending her links. I didn’t even really say anything about the links, I just sent them. I sent her the Harvard study that stated cannabis helped with cancer related complications, including chemo. I sent her to the page of the National Cancer Institute, where the doctors themselves said that cannabinoids killed breast cancer cells. This is incredible news, especially for those that are suffering from breast cancer. If cannabis can legitimately kill breast cancer cells, we should be spreading this news everywhere! 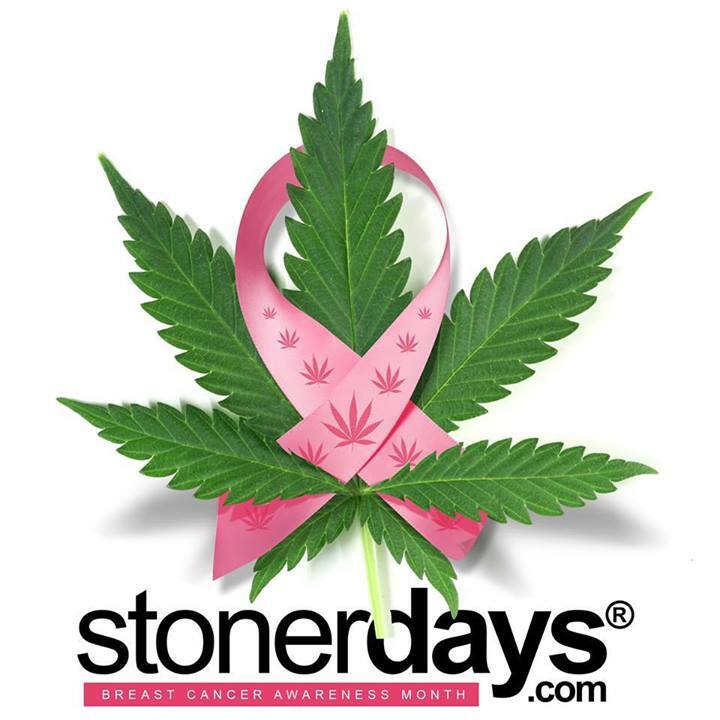 It is very important to be aware of breast cancer and do everything that we can to spread the news that cannabis is a great way to help those afflicted. My aunt was interested in what I had to say because I presented facts and evidence that hey, this is probably going to help you more than radiation treatments. My goal is to educate my readers so that they know things like this. I know that buying a pink ribbon will get some money donated to finding a cure. But we’ve already found one! If you’re unsure of how to approach a family member who has breast cancer about the idea of using cannabis, believe me, it’s not as bad as you think! I was very worried about how my aunt was going to react to my push for her to choose cannabis over chemo. But even with my silent approach, my aunt was very open to the idea. I’m not sure if she’s going to go with cannabis or if she’ll keep going with the chemotherapy. So buy pink ribbons, send some links, either way, I hope that whoever you know that’s sick gets better and that cannabis really is a cure. For further reading on this subject by the doctors and professors who study it, here’s some links that contain some more information. 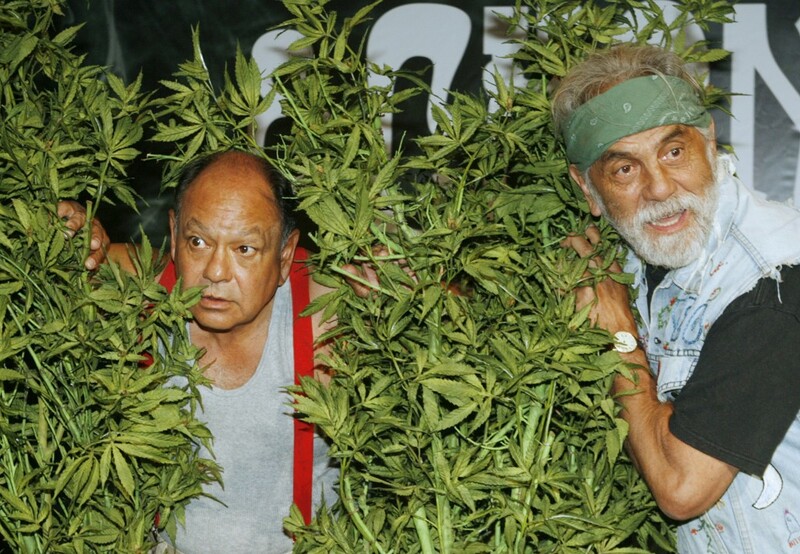 Unless you’re me, you’ve been a fan of Stoners Cheech and Chong for a long time (I had never seen the films until recently… I’m a little behind the times!). And if you’re an Up In Smoke fan, you know that Tommy Chong had a nasty announcement come out last June that he had prostate cancer. That’s probably the worst thing to hear when you’re at the doctor and there are millions of Americans that hear those words and begin the dreaded chemo treatment to attempt to rid their bodies of this deteriorating illness. 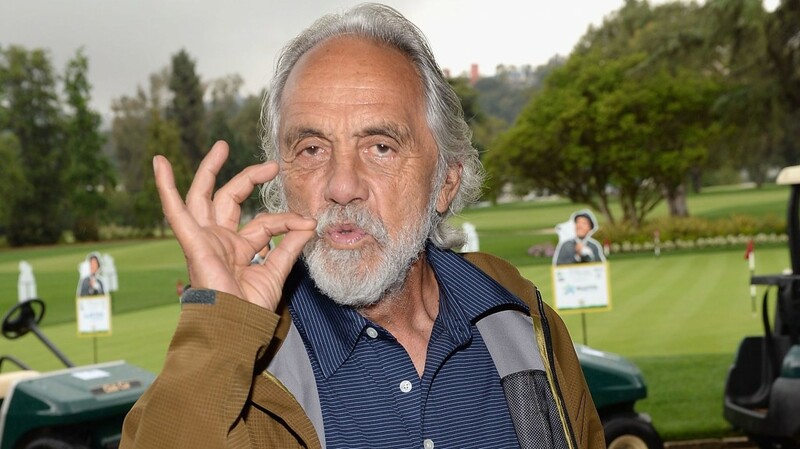 Tommy Chong is known for marijuana so what did he do when he was told the bad news? He opted for the best treatment that was available… Hash oil. This oil, combined with a heathy diet, natural supplements, and a session with a world renowned healer – Adam Dreamcatcher – sent Chong’s cancer running like a scared dog. Now, over a year later, Chong says that he’s feeling better than he’s ever felt before! While he’s still undergoing tests to make sure that the cancer is gone, he’s healthy and still smoking that dank! There are so many people suffering from the onset of cancer or who are caught in it’s cold grip. It is up to us to help push marijuana as a cure for cancer and as a cure for many illnesses. Chemotherapy costs thousands of dollars and drains families of their life savings. It’s sad to think that this magical plant hasn’t been legalized just due to it’s amazing capabilities. 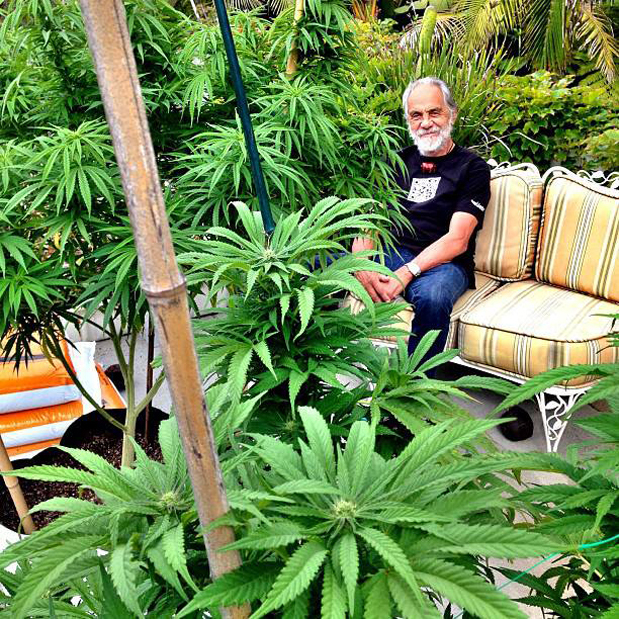 The fact that Tommy Chong completely neglected the idea of radiation treatment and is healthier now than ever before is incredible.This world would benefit so much from a cannabis based cure for cancer. Lives would be saved and pockets would stay a lot more full. It is the cannabis community’s responsibility to share this lifesaving information with others and show others how cannabis really brings people together.